You are on a personal site of painter Opuls. The house of the artist is always open for guests; You know «a Guest is the envoy of God». Wisdom of the East, West search, the severe North and the South full of a life – all parts of world reflected in artist’s works. In the gallery you can find and buy a picture sounding in unison with a certain spirit of soul. The artist will be glad to get your opinion, impressions and emotions, caused by his pictures. Please use the possibility «to Publish your impression» at each picture. Each picture is drawn with love for the person who will love it, find yours! By the centenary of the Czech Republic September 29 in St. Petersburg a personal exhibition of a member of the Union of Artists of Russia, the painter Sergei Opulus "The Healing Blue of Prague" opens. The works were written from nature in May this year. The exposition is located in the office of the Ambassador of Novosibirsk State University in St. Petersburg (Tavricheskaya St., 5). 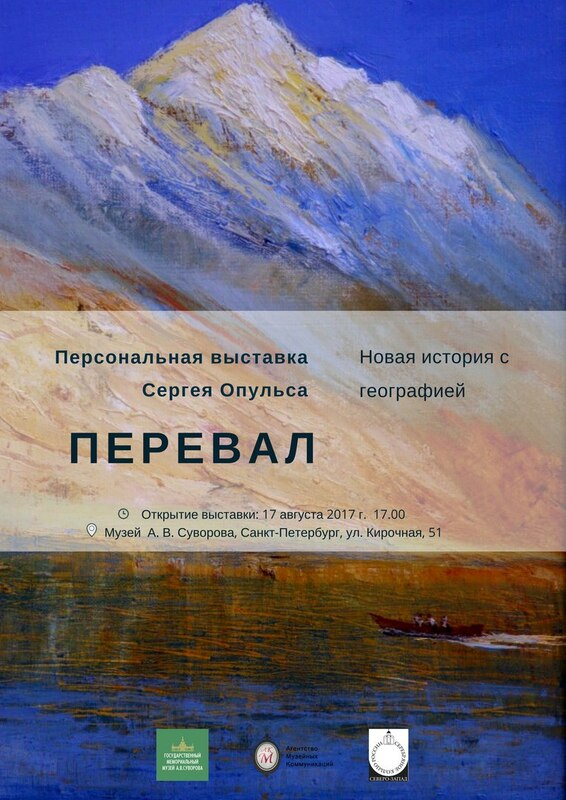 On an opening day, the premiere of the new work of Sergei Opuls and a curatorial excursion will take place, at which the spectators will be told interesting facts about the objects being painted and the course of the painting. We invite all fans of Prague and painting to the opening day on September 29 at 17:00. 11.08.2017: The Opuls pass — a new geografical story in the Suvorov museum since 17th august. The Opuls pass — a new geografical story in the Suvorov museum. A St. Petersburg artist, a bachelor of contemporary art, a member of the Artists' Union and a helicopter pilot who got through the Afghan war, Sergei Opules opens a solo exhibition of paintings in the first memorial museum of Russia - the Alexander Suvorov museum. The exhibition of paintings entitled "The pass" opens on August 17, 2017 at 17.00 in the exhibition hall of the Suvorov museum in St. Petersburg, Kirochnaya st. 51. The exhibition is arranged to coincide with the 55th anniversary of the artist and the 25th anniversary of his conscious creative activity. The fact that for more than half of his life Sergei Opuls was torn painfully between the love for the sky and the desire to fly on the one hand and the natural gift of painting on the other is reflected in his whole creative and life biography. The native of Tashkent, Sergei Opuls comes from the Pavlovs noblemen family, which has been long serving the Fatherland; therefore, after graduating from the Tashkent Art College of P.P. Benkov in 1982, at his own request he went directly to the helicopter school in Samarkand. After the school he was sent to the helicopter regiment of Soviet troops operating in Afghanistan. On the own recognition of Sergei Opuls, who painted under his real surname Pavlov (Opuls is the surname of the great-grandmother of the artist - Latvian German), it was the harsh mountain beauty of Afghanistan combined with the constant aggravated sensation of life in the war, which made him an artist from a helicopter pilot. The title "The pass" for the anniversary exhibition of a passionate lover of mountains and sky was not chosen accidentally. By the images of war and peace in the midst of the mountain passes and gorges of the Hindu Kush, Sergei Opuls encourages the viewer to generalize and comprehend his own life. Every person experiences at least once, and often more than once, the point at which a new one awaits him. And the price of overcoming this pass is usually very high. So the passionate lover of mountain circuses and the open sky, a fifteen-year-old graduate of a special military school under the Turkestan Military District, Sergei Pavlov climbed the mountains around his native Tashkent to meet the sunrise, and having returned alive from the war, was able to overcome the Afghan syndrome and become a true artist whose works are kept in state museums and private collections all around the world. A special place at the exhibition, where thirty pictures of the «Hindukush» series are exhibited repeatedly, is occupied by a canvas written about ten years ago - "The Devil's Bridge in the Alps". It depicts a part of the bridge, usually hidden in photographs, through a mountain canyon in Switzerland, along which A.V. Suvorov's troops passed in battle in 1799. The exhibition is organized with the support of the "Agency of Museum Communications" and NP "Silver Ring". Opening day: August 17 from 17:00 to 20:00, Kirochnaya st. 51, the exhibition hall of the museum. The exhibition is open from August 17 to September 18 (4 weeks), Tuesday and Thursday - Sunday - 11.00-17.00, Wednesday - 13.00-21.00, except Monday - the day off. 20.06.2017: The latest new of Sergey Opuls' work and life are in Russian. 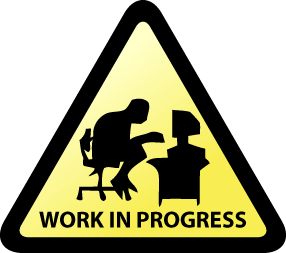 The translating is in work.